The last few years have seen multinational corporations make a beeline for India. Amazon says that India is one of its most important markets, and as does Uber. But in 2015, Snapchat didn’t want to expand into India because its CEO felt the app was only for rich people. Former Snapchat executive Anthony Pompliano has said that Evan Spiegel, Snapchat’s founder and CEO wasn’t keen on expanding into India. Pompliano had been hired by Snapchat from Facebook, and soon after his appointment, he’d told Spiegel that the app wasn’t doing well in foreign markets. Pompliano alleges that Spiegel cut him off when he expressed his concerns. Pompliano is also suing Snapchat for allegedly misleading its investors, so his statements should be taken with a grain of salt. But Speigel has previously been known for his off-the-cuff remarks. Leaked emails during his college days at Stanford have painted the picture of the now-billionaire founder as a bit of a party boy. “Hope at least six girls sucked your d*cks last night,” he’d mailed someone after a party, and his email signature at the time was “F*ckBitchesGetLaid”. Spiegel has since said he was mortified at the leaked emails, and apologized. But apart from his latest comments, Snapchat doesn’t seem particularly keen to expand in India. While Facebook, Google, and even Tinder have set up offices in the country, Snapchat doesn’t have an Indian presence yet. Snapchat also didn’t mention India during its IPO filing, during which it had been valued at over $20 billion. 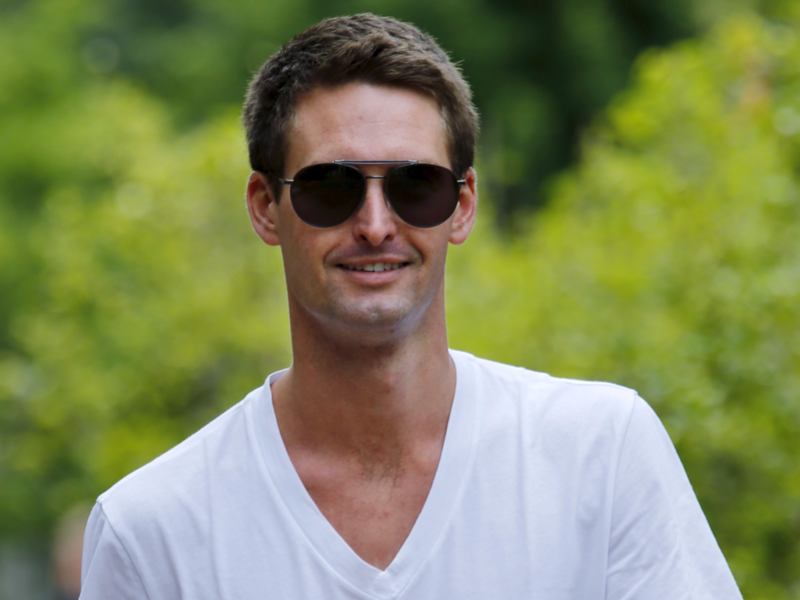 Spiegel has seen enormous success with Snapchat, and its IPO has made him the youngest billionaire in the world. At 26, he already controls one of the biggest social networks of the day. But there have been concerns about slowing growth. Instagram Stories has just crossed Snapchat’s userbase of 200 million, and Snapchat will need to soon thinking of acquiring more users outside of its young, millenial demographic. But it’s going to find it hard to find new users, given how it wants to stay away from poor countries like India.